We're pleased to inform our readers that the National Humanities Center has released its latest newsletter. To download the Spring/Summer 2010 newsletter click here. "This spring Holly Brewer, the 2009–10 Walter Hines Page Fellow at the Center, found herself much in demand, not only for her scholarly expertise on early American intellectual and legal history, but also as a leading voice in discussions about reforming the history curriculum in North Carolina. While debates taking place in several states about history teaching attracted national attention, for instance over ideologically based changes adopted in Texas, in North Carolina the State Department of Public Instruction planned to cut history instruction sharply—to begin U.S. history in 1877 and world history in 1945 in high school, and to cut instruction in earlier grades as well. These cuts corresponded to a general de-emphasis on history throughout the curriculum, in response to a narrowing of the curriculum due to increasing pressure to test math and literacy." We also call your attention to the fifth page where online seminars for teachers are listed for the 2010-2011 year. "The Center’s live, online education seminars continue to demonstrate their strong appeal, attracting nearly 500 teachers from 35 states to register for the 15 sessions offered in the spring and summer of 2010. This compares to 233 teachers from 20 states who participated in the 10 seminars offered in the fall of 2009." Go to this link to register today. The theme of this month’s Kama‘aina Family Days at Mission Houses Museum is Yankees and Europeans Make Hawai‘i Home. Traders, sailors and missionaries added their own traditions to the culture of Hawai‘i. Try on their clothes, compare the food they brought with traditional Hawaiian foods. Play old fashioned games. The adult talk focuses on the food traditions they brought with them and those they adapted once in Hawai‘i. See the printing press in action. Sail a boat and more! Saturday, July 31. Schedule: Hands-on crafts and historical activities from 10 am to 3 pm; Keiki Story Time at 12:30 pm, Adult Talk at 1:30 pm, Historic House Tours at 11 am, 1 pm and 4 pm. Special discount rates: $5 adults; $4 seniors & kama‘aina; $3 students and youth; and $2 for activities only (no tour). Address: 553 S. King St. Contact: Mike Smola at 447-3914. For upcoming topics through the end of the year, visit www.missionhouses.org and click on programming. Mission Houses is looking for volunteers who want to help visitors and kama‘aina alike develop a better understanding of Hawaiian history. Docents are especially needed to give tours of the historic Frame House, Print Shop and grounds. Theodore Sizer: "Americans shamefully underestimate their adolescents." In this morning's e-mail we received the following from Will Fitzhugh, founder of The Concord Review. Americans shamefully underestimate their adolescents. With often misdirected generosity, we offer them all sorts of opportunities and, at least for middle-class and affluent youths, the time and resources to take advantage of them. We ask little in return. We expect little, and the young people sense this, and relax. The genially superficial is tolerated, save in areas where the high school students themselves have some control, in inter-scholastic athletics, sometimes in their part-time work, almost always in their socializing. At least if and when they reflect about it, adolescents have cause to resent us old folks. We do not signal clear standards for many important areas of their lives, and we deny them the respect of high expectations. In a word, we are careless about them, and, not surprisingly, many are thus careless about themselves. "Me take on such a difficult and responsible task?" they query, "I'm just a kid!" All sorts of young Americans are capable of solid, imaginative scholarship, and they exhibit it for us when we give them both the opportunity and a clear measure of the standard expected. Presented with this opportunity, young folk respond. The Concord Review is such an opportunity, a place for fine scholarship to be exhibited, to be exposed to that most exquisite of scholarly tests, wide publication. The prospect of "exhibition" is provocative. I must show publicly that I know, that I have ideas, and that I can defend them resourcefully. My competence is not merely an affair between me and a soulless grading machine in Princeton, New Jersey. It is a very public act. “Leaving normal school, college, or graduate school, the young teacher of history, if he or she is fortunate enough to get a chance to teach his own subject at once, enters a high school, or small college, where, in many cases, he is permitted to work out his own pedagogical salvation. From alma mater he has brought a knowledge of certain methods of history teaching practiced upon him by his own instructors, together with detailed information respecting several narrow fields of human history. Rarely has he received in college or graduate school any intimation of the best methods to be pursued in secondary school history teaching. Rarely does he in his new position receive much inspiration or advice concerning his actual class work from his administrative superiors. “Left to his own resources, often losing contact with his former instructors and intellectual leaders, he may lose energy, ambition, outlook, and become at last a dreaded teacher of a dreadful subject. Source: The History Teacher's Magazine. Philadelphia, September, 1909, Vol. 1, Number 1. Today's edition of Honolulu's Star Advertiser features an article by Burl Burlingame about a photo exhibit. This Saturday is Amelia Earhart's 113th birthday. The photos come from Matson Shipping Archives. "While Earhart was in the islands, Matson documented her every move with photography. These photographs, along with the original negatives, were recently unearthed in the Matson Navigation Co. archives in Oakland. Beginning Saturday -- Earhart's 113th birthday -- Matson and the Royal Hawaiian have teamed up with an exhibition of these long-lost images." Click here to read the full article. Sample photos are also featured. The exhibit is scheduled to open tomorrow at the Royal Hawaiian Hotel's Coronet Lounge in Waikiki where it can be viewed through the end of this year. Admission is free. Call 931-8232 for more information. News reached us this morning that the American Association for State and Local History (AASLH) has launched its first online community titled History News. This portal is where "our members and history lovers can meet to discuss topics and challenges we face every day in the field of state and local history." "History News Online is just the beginning of AASLH's commitment to creating an engaging and dynamic home for history on the Web," states Bob Beatty, Vice President for Programs. "We plan on launching new online initiatives in the upcoming years that will connect our members to each other, address our affinity groups and their needs, and provide leadership to the field as a whole." Our first online community focuses on our magazine History News. The hub offers a place for readers to discuss in detail the themes our authors touch on every issue. Go to this link to learn more. Incoming Nanakuli High School freshmen yesterday test-drove new laptops they will use over the coming year as part of an initiative to turn around low-performing schools. The one-to-one laptop program is an integral part of the national New Tech Network model, which is being used or has been adopted at 62 schools around the country, including Nanakuli and Waianae high schools this year. The model emphasizes project-based learning and problem-solving and trains teachers to be "facilitators" who guide students in finding answers, rather than telling them what they need to know. New Tech has shown success in improving everything from attendance to test scores. For the full story go to this Honolulu Star Advertiser link. Needless to say, the Internet provides creative and exciting opportunities for history educators. One of the tools that has grown in popularity is blogging. In June I created such a blog for my research on my late-father's service with the 1st Marine Division in North China 1945-47. 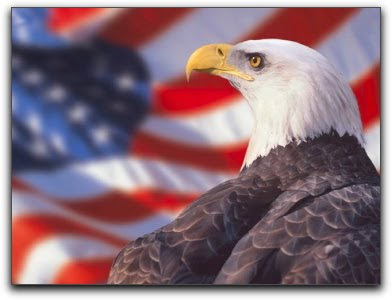 Go to this link to view MyDadtheUSChinaMarine.blogspot.com and its accompanying YouTube channel at this link. For me this has been an enjoyable experience, one that I recommend to historians, educators, history students and history buffs. Interested in starting a history blog? Setting one up is not hard! 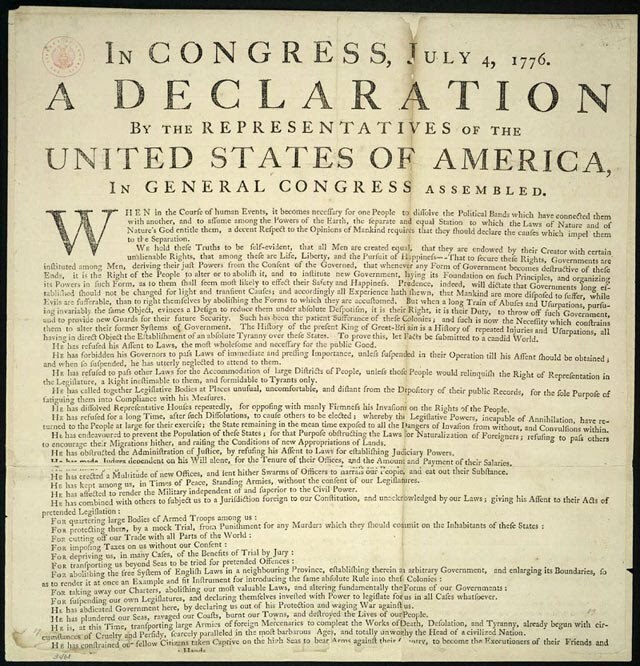 We feature this web site on the Declaration of Independence that includes hyperlinks of the signers to their biographies. We think many will find this instructive. 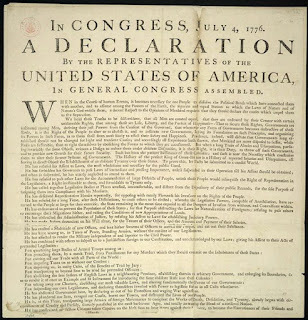 In addition, we post a link to this YouTube video featuring a reading of the Declaration of Independence with a short introduction by Morgan Freeman. Full proudly on the breeze. My country’s Flag of Stars. Is not undimm’d by strain.